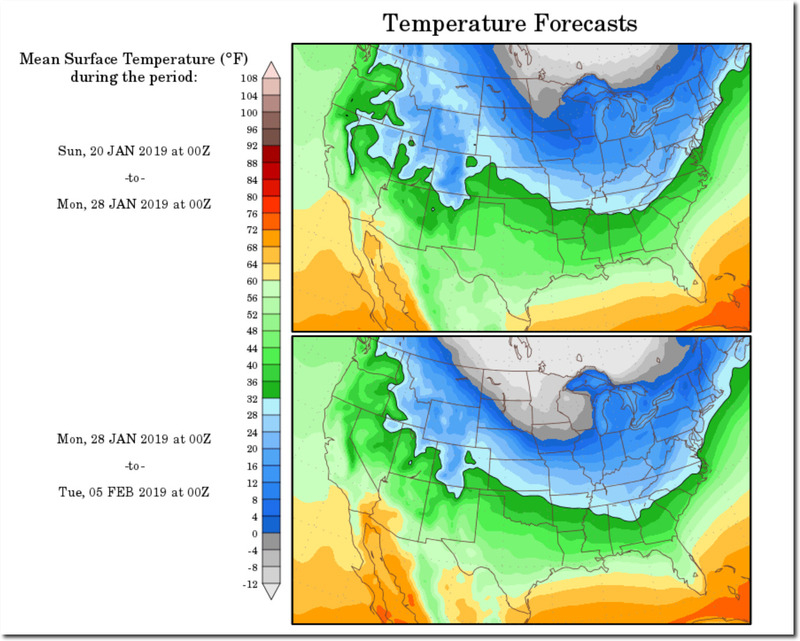 The New York Times endless summer looks more like a long-term deep freeze. 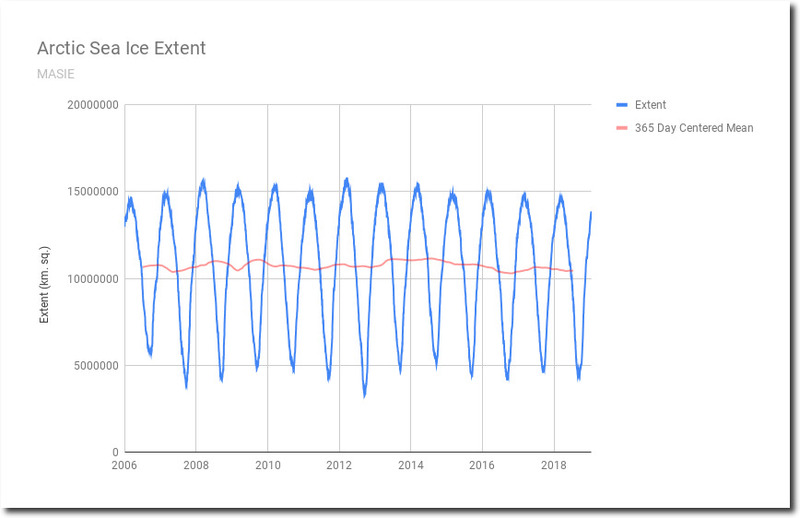 There has been no trend in Arctic sea ice extent since the New York Times wrote that article. Polar bear populations are larger than they were 40 years ago. 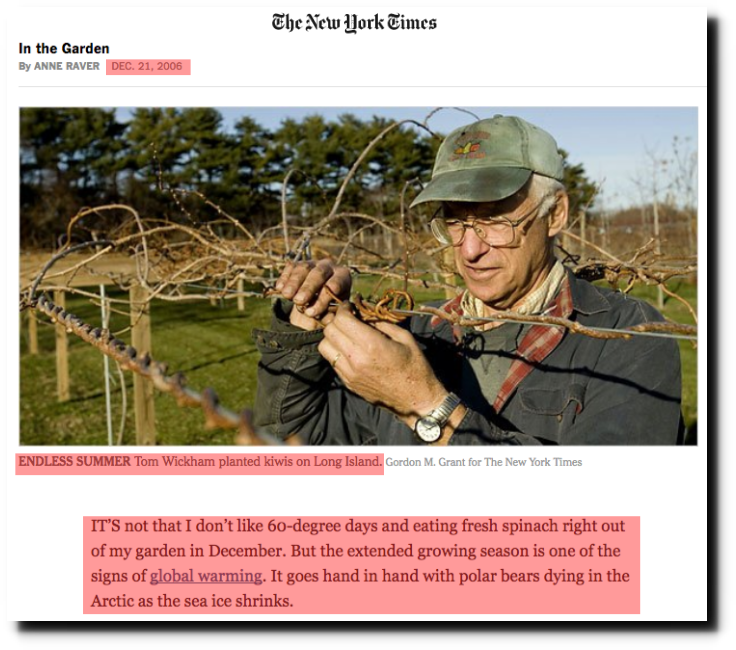 Nothing in the New York Times article had anything to do with reality. But why should it it be different than any of their other reporting? Take Google Earth desktop, load the KMZ map Arctic from U.S. National Ice Center NAVAL ICE CENTER (link: https://www.natice.noaa.gov/Main_Products.htm) and then laod the MASIE KMZ map (link: https://nsidc.org/data/masie) click “download data” and then load additionally the .kmz file to Google Earth. 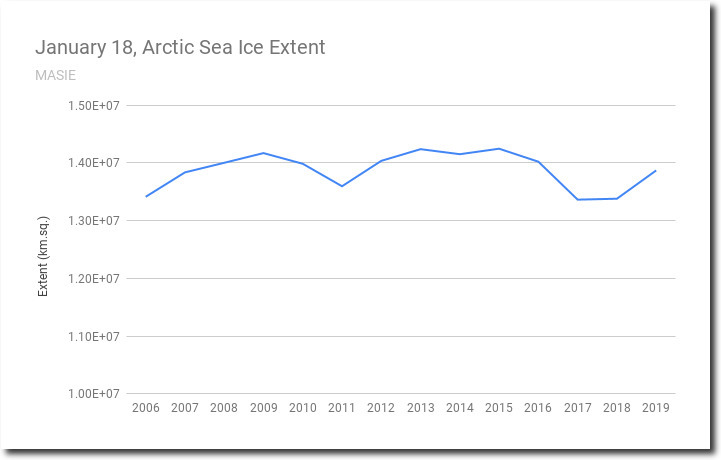 You will see thousands of red spots, the masked-out coastline and – on any given date – a lot of read areas marked as 80-100% sea ice by the U.S.NIC map. If you want further proof that MASIE under-reports sea ice extent check the Norwegian Meteorologic Institute (link: http://polarview.met.no/clickmap.htm) and compare with MASIE for any given date. The Norwegian maps are for the East Arctic and are navigation grade, very precise and detailed. 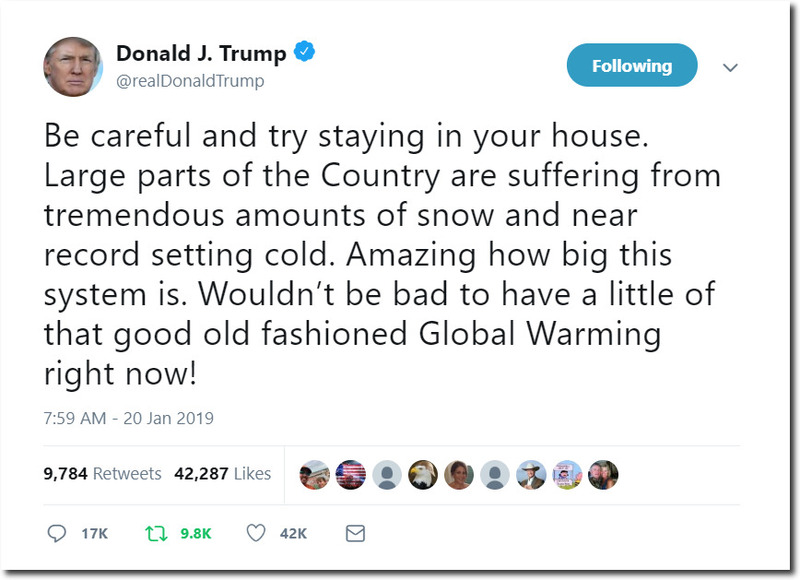 The MASIE and the National Snow& Ice Data Center numbers are consistently much lower (around 500.000 square kilometers) than the DMI numbers (Danish Meteorologic Institute, link: http://ocean.dmi.dk/arctic/icecover.uk.php) and this is by design and intent! If anyone doubts the DMI numbers, talk to them, they are in this business since the discovery of Greenland. One of my favorite oxymorons: journalistic standards. Polls rand journalists just above telemarketers.